Look around the room – how many of your friends are using Tinder, swiping right or left on their phone? Dating apps are becoming the cheapest form of crack college students (and others) can find. The rush you get seeing “You have been matched with…” for the first time is inexplicable. These apps are the metaphorical crutches that have caused our generation to be glued to our phones awaiting the next push notification. In fact, online dating has never been more popular. According to Pew Research Center, 10% of Americans aged 18-24 have used online dating sites or apps. These numbers are projected to double next year. But what ignited it all? Why are we so hooked? We’re all fearful of the “first encounter,” that 5-10 seconds where we attempt to break the ice. Most of us would never approach the pretty girl at the bar. You know you should approach her…you don’t, you freeze up…thoughts rush through your mind…eventually you wimp out with a sad list of imperfect excuses. This anxiety is normal; it’s an evolutionary impulse. We are most comfortable near our own “tribe” since meeting new people could present a dangerous situation. 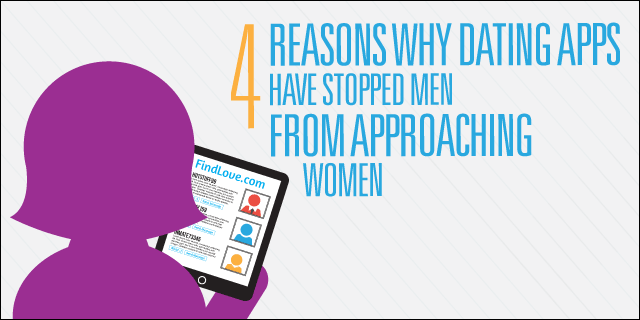 The online dating space mitigates this fear since potential matches are only a swipe away. We crave appreciation and love, the very two emotions dating apps provide us. When bored, we can literally pick up our phones, login to Tinder, and start texting with our new match. Forget picking up the phone and dialing a friend, we are on the hunt for the next Prince Charming. And who the hell even talks on the phone anymore anyway? Texting has allowed us to have conversations that we would never want to have in-person. 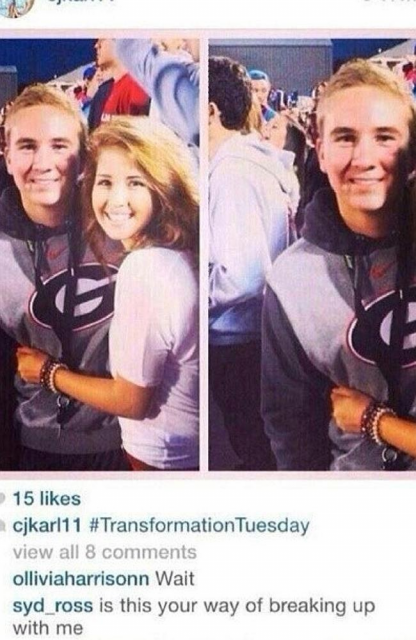 Check out the photo below…see how the kid used a hashtag to break up with his girlfriend over Instagram? Huh? But how does this translate to dating apps? Well, it’s clear that digital communication affords us the ability to ask a girl out on a coffee date or even get inappropriate photos in a painless manner. Conversation going south? Quickly hit the “block” button and everything is A-OK.
We’re not sitting in wheelchairs just yet, but many of us have settled into a nice pair of crutches. Approaching pretty women on the street or saying hello to the stranger walking down the hall is a rarity. We would rather use an app to break the ice with the cute girl at the bar. Subtract fear from the equation and the possibilities are endless. Will the art of approaching girls become lost on our generation? Probably not, but we are in a definite decline. Dating apps have their advantages, but don’t rely solely on them – there is something special about that real-life encounter. The spark you get from connecting in person outweighs a thousand push notifications from Tinder. So, next time you see that pretty guy or girl at the store, say hello, and maybe you will find your Prince Charming as opposed to Mr. Swipe-Right. Zach Schleien is one of the co-founders of TopRomp.com. He has a love for startups, analytics, dating technology and bulletproof coffee. Shoot Zach an email or follow him on twitter. He appreciates a nice comment from time to time.